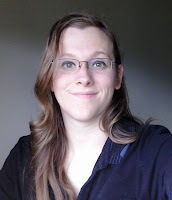 Please welcome April Daniels to The Qwillery as part of the 2017 Debut Author Challenge interviews! 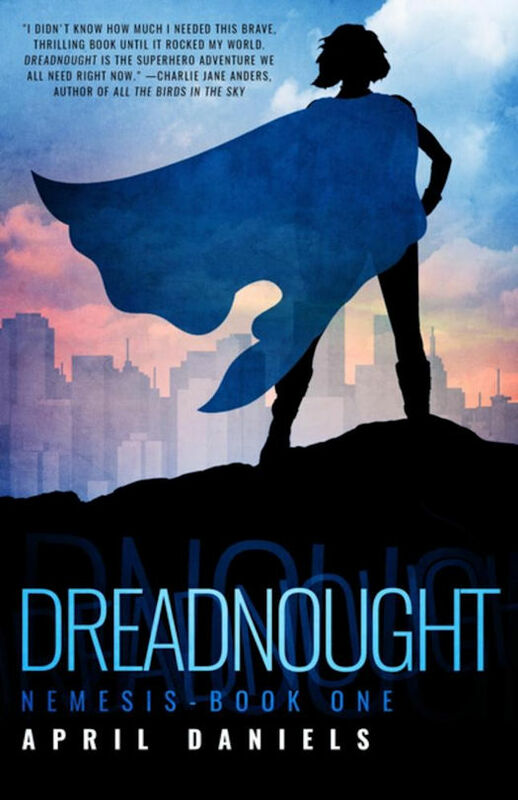 Dreadnought was published on January 24th by Diversion Books. April: Hi! Happy to be here. I started writing fanfic in high school and it sort of blossomed from there. 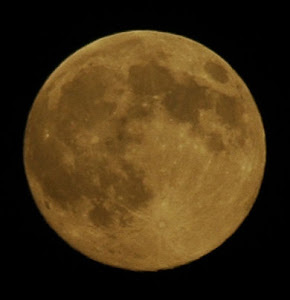 April: Oh Goddess, this is a tricky one. I’ve done both, but I’m not sure I’d say I’m a hybrid. It sort of depends on the project. When I plot ahead of time, my writing is more propulsive and tighter, but when I pants I think I end up with some more creative decisions than I would make otherwise. April: Right now? Just getting the damn words down. It’s very common for an author to get seriously blocked after signing her first contract, and that has happened to me. I’ve been blocked for more than a year and I can’t wait for Dreadnought to get published so I can move past this. April: I have always had a very hard time answering these sort of questions because everything I read and see goes into the stew. It bubbles away for months or years, and then when I sit down to write, it comes out in the writing. I don’t sit down to write with an influence in mind, I just write how it makes sense for the story to work. TQ: Describe Dreadnought in 140 characters or less. April: Trans girl superhero gets cool clothes and then beats up robots to save the world. TQ: Tell us something about Dreadnought that is not found in the book description. April: It’s mainly about child abuse. 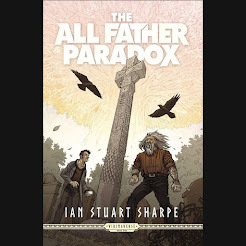 The big thing people know about this book is that it stars a transgender superhero, but the gender stuff is not the thematic focus of the book. Danielle knows who she is and is comfortable with that. The gender stuff is only ever a problem for her because abusive people in her life make it a problem for her. TQ: What inspired you to write Dreadnought? What appeals to you about writing about a superhero? April: I wanted to write the book I wish I’d had when I was 15. TQ: What sort of research did you do for Dreadnought? April: None whatsoever. Wait, no, that’s not true. I looked up what kind of nuclear reactors were on theoretical drawing boards. TQ: Please tell us about Dreadnought's cover. April: It was made by a staff artist at Diversion books. If you look carefully it’s got the colors of the trans flag represented on the skyline. TQ: In Dreadnought who was the easiest character to write and why? The hardest and why? April: Calamity, hands down, was the easiest to write. This is mainly because she was the most fun to write. The hardest to write was Graywytch. She went through three or four revisions. Initially she spoke almost entirely in real-life TERF quotes, but that came off as cartoonish—nobody would believe anyone was really that evil! I had to tone her down again and again until I got the balance right. TQ: Why have you chosen to include or not chosen to include social issues in Dreadnought? April: When you write about a transgender protagonist, you are forced to write about social issues no matter what. People will make it political, even if you don’t want it to be. So I leaned into that. The first draft was a little preachy, and I toned it down. I think it’s got a good balance now. TQ: Which question about Dreadnought do you wish someone would ask? Ask it and answer it! Q: Can we give you a giant pile of money to adapt this into a feature length film? TQ: Give us one or two of your favorite non-spoilery quotes from Dreadnought. April: There’s an entire chapter that I refer to as Post Structuralism For Kidz, but I think that would be too long to quote here. I guess I’ll quote the section that made me fall in love with writing Calamity’s dialog. In this scene she’s just found a newly-transformed Danielle over Dreadnought’s dead body in the aftermath of a fiery explosion. When she puts it that way, I’m throwing all my crap into my bag and running next to her as she sprints for the parking garage’s rear. April: The sequel to Dreadnought is called Sovereign and I’m currently doing revisions for it. Right now we’ve scheduled it to come out in July. 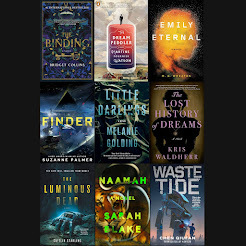 April: Thanks for having me! 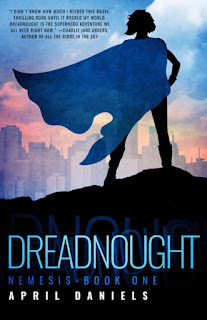 Dreadnought is an ambitious book that balances terrific metahuman battles with a myriad of topics including domestic abuse, bullying, government corruption, racism, sexism, and intolerance. April Daniels has written a insightful novel that is thoughtful without being preachy. Due to the complex, and often stressful, emotional conflicts, I would recommend this book to ages 13 and up. I think Danny's story can serve as a stepping stone to great discussions and conversations. In my opinion, Danny's heart-wrenchingly bittersweet attempt to make the people she cares about understand and accept that she is a transgender lesbian is written beautifully and needs to be shared. In the end, Dreadnought had me cheering while bringing tears to my eyes. Absolutely brilliant.